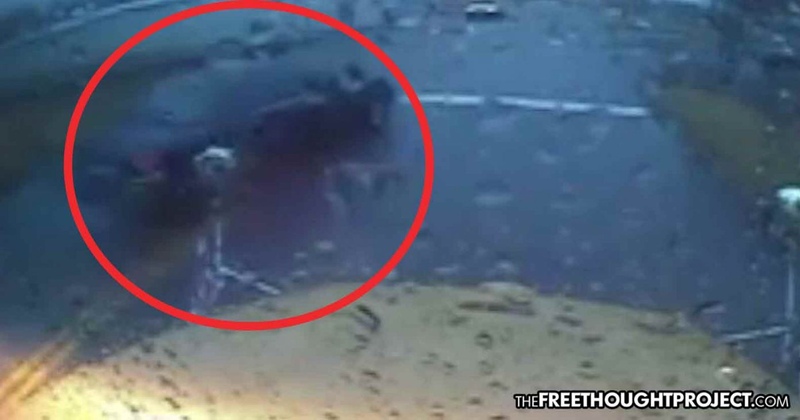 Newark, OH — Disturbing video has surfaced this month showing a Newark police officer blowing through a school bus stop sign as small children exited the bus. After being questioned about the video, the department responded by claiming they didn’t know it was illegal. Adding to the corrupt nature of this incident is the fact that this wasn’t just any officer in the department—it was Newark’s top cop, Chief Barry Connell. The incident happened on October 10, but the video was only just released this month. Chief Connel claims he sped by the stopped school bus as small children exited because he thought he had the right to do so while on official business—as if being a cop somehow makes you immune to running down small children getting off a bus. The Newark police department says Connell was on his way to help another officer pursue a wanted felon. But pursuing a wanted felon certainly does not trump the lives of innocent children getting off a bus. Bus driver Patty Hughes is not taking this incident lying down either. She took her complaint directly to the department and the local news. “She was on the last step and I saw out of the corner of my eye this cop go right by. It was an unmarked cruiser. You could see the lights in the back window. No siren, and I beeped at him and he slowed down at the tracks but then kept going. I was like, ‘Really?’” said Hughes, who then immediately contacted the police department. Police went on to use the defense of ignorance, claiming that they simply didn’t realize it was illegal for cops to speed by school buses. Now, according to a police spokesperson, they know it’s wrong and promise not to do it again. Sure. But Hughes isn’t buying it. She knows, just like everyone else, that if a private citizen attempted to use the same excuse they’d be told that “ignorance of the law is no excuse.” And she’s right. “As they tell every defendant, ignorance of the law is no excuse,” Hughes said. Newark police claim that they have retrained all their officers on the fact that it is indeed illegal — even for cops — to pass school bus stops signs. Hughes says that this is a good start, but notes that it doesn’t go far enough. Hughes told 10TV that she’d like to see the chief charged for his crimes just like a normal citizen would be. The Free Thought Project agrees, although we will not hold our breath as the department is refusing to issue any further statements or answer questions in regards to this incident. As we see in the video above, the chief is going by at a fairly fast speed. Had a small child walked out from in front of the bus to cross the street, there would have been no way he could have stopped in time—especially considering the fact that it was raining and the roads were wet. What would have happened if the chief had struck a child while blowing through the school bus stop sign? What would have happened if that child had died? Would the chief claim ignorance of the law as a defense against vehicular manslaughter? Sadly, a similar incident played out last week in which a Columbia police officer, Andria L. Heese, 27, drove her police SUV up onto a sidewalk and killed 4-year-old Gabriella Curry. As TFTP reported, Curry had just gotten off of the bus when Heese crashed into her. Heese was on official duty just like Connell. And, just like Connell, Heese will likely not face any consequences for her actions. If you’d like to peacefully let chief Connell and the rest of the department know how you feel about this incident, you can do so on their Facebook page, here.